Over the years, I’ve often been asked for advice about career management. In addition to being a professor of management and human resource management at Roosevelt University, I’ve served as board chair for senior executive appointments, evaluated the effectiveness of boards of directors, conducted professional searches and redesigned organizational structures to reflect strategic and other changes. So I’ve observed a lot and along the way developed creative ways to address a variety of organizational challenges. In this essay, I would like to share my insights on strategies for obtaining a job and moving up the professional ladder. More than a million people graduate from college each year and it often takes three to nine months to find a job commensurate with the graduate’s college degree. The time may be even greater for international students and professionals. That’s because many new graduates must deal with professional exams and licensure –such as in actuarial science, allied health, accounting and education fields. Most students start looking for their first job after they graduate, but I believe they need to start earlier —when they’re still in school. There is no perfect time to begin the job search, except this: the sooner the better. Unlike many people in earlier generations who worked for one employer their entire life, today the average college graduate’s first job is unlikely to be his or her last. In fact, college graduates and professionals these days may have six to eight employers over a 40-year career span with people moving on average every four to five years. So, when selecting an employer, choosing one for lifetime employment should not be among the most important selection criteria. I realize that some people are wondering whether they should invest the time and money needed to complete a college degree. Completing a bachelor’s degree is extremely important and has strong positive results on career success. Consistently, data from the U.S. Census Bureau shows that over a 40-year working span, the average college graduate earns approximately $1 million more than someone with only a high school diploma. A master’s degree is also worth the time and money it takes. It’s the highest degree for practicing managers, whereas the doctorate is for people who want to focus more on research or be accredited in such fields as pharmacy or educational administration. For example, a master’s degree in business (i.e., an MBA, MSHRM, MSA, MSRE) and in other disciplines puts the graduate on a whole different level across his or her entire working career with richer opportunities on all fronts, work and life. It also hugely changes his/her potential influence on the world. So the answer is Yes! Bachelor’s and graduate degrees are worth the time, effort and money. People often ask me about whether they should take on this or that job with little or no thought of first establishing a career plan. A job is not a career. A career involves vision, planning and jobs that may include a series of horizontal and vertical moves. I often think that if people apply for the job they really want, rather than doing mass emails and postings of their resumes, recruiters could fill positions more quickly and accurately. This reminds me of a board that I chaired to select the mayor of a relatively large municipality. The most attractive candidate only applied for one job. He was highly focused and knew exactly what he wanted. That resonated with me and he gained our recommendation. This might not work for all people. The principle is to focus your career efforts with a vision and career plan. Employers tend to hire and promote based on knowledge, skills, abilities and personal characteristics. Of course, career advancements also are the result of doing your job well. It’s not a matter of being a perfectionist; rather, it’s a matter of good to excellent performance on what the organization values. Lacking the right talent can be painful for an organization. Thus, you and any candidate are more likely to land a role when you match and present your skills and experiences according to the organization’s needs. Aligning your plans to your manager’s goals under the company’s values and goals will be important to success. If you were in the elevator with the president of your company and were asked, you should be able to deliver a 30- to 60- second pitch on how your work contributes to the bottom line. This shows that you are aware of your company’s needs and how your work contributes to addressing those needs in tangible ways. Personal characteristics such as dependability, loyalty, trustworthiness, honesty and integrity go a long way. A former store manager recently mentioned that her company valued her and promoted her because they could trust her. Because of those traits, she was chosen to manage the entire store, including its human and physical capital and the risk management function. Another conversation with a manager in the telecommunications industry brought to light the importance of having a breadth of work experiences. In some industries people are looked at more favorably and experience career advancements based on working in various departments of the organization. Doing this attests to your ability to get along with people, build positive relationships and be a team player. In addition, horizontal career moves allow you to develop new skills. This will make you a more attractive candidate for other desirable jobs within and outside the organization. You’ll learn more about your company and build a broader internal network. For example, in one global firm a cohort of entry level consultants was engaged in a rotation program, giving them an opportunity to work in various practices and hopefully after the rotations to return to the practice of their choice. These types of horizontal career moves are helpful at the beginning of your career and also can be extremely beneficial at other career levels. Career advancement sometimes requires difficult decisions such as moving to different locations in this country and abroad. Being willing and ready to move to a different location will have an impact on family and other personal relationships. The truth is that you will rarely find all your career advancements in your present role. Advancing to significantly higher levels will often require a move. But keep in mind that life is more complex these days. It’s good to be flexible and willing to change locations. This is not convenient; but it will enlarge your network. Personally, having led and worked with people on at least four continents has broadened my prospective and respect for others and made me more confident in future work experiences. As you ascend up the career ladder, you’re gauged more and more on your personal characteristics. At the higher levels of a career about 90 percent or more of the people have a college degree. Therefore, the differentiators become the personal characteristics. A window into your personal characteristics are your networks. I don’t mean the number of people you’ve connected with on the internet. I mean the number and quality of your relationships with others. It’s important to respect others, consider their views, keep tempers in check and be tactful in verbal and written communication, especially e-mails! I, like many people, have had great bosses and not so great ones. I recall an incident when a particular boss asked for my feedback. His response to me was great, indicating that he would take my ideas under consideration and he did. He was a good example of a leader who listens to others and acts on their unbiased perspectives. His actions became a model for my management style. In my teaching and advising students, I emphasize the things I’ve mentioned here. I also advise students to be members of their professional societies that may include marketing, finance, IT, HR or real estate. Most fields (education, law, health services, etc.) also have professional organizations. In all of my classes, students are encouraged to network with professionals in their fields. Your networks are a rich source for discovering new opportunities. Currently I advise Roosevelt’s student chapter of the Society for Human Resource Management which is open to all majors and has earned local and national recognition. It encourages students to fulfill volunteer roles at the national conferences, sit in on committees and board meetings, attend leadership conferences, participate in case competitions, and stay up to date with the profession. My students also engage in experiential learning through simulations, games, conferences, case studies, pro-bono consulting and other extra-curricular activities. These are all important, but as students begin their job search, I urge them above all to be prepared for any opportunity. Over 50 percent of college graduates land positions that are not directly related to their field of study. I always encourage students to be flexible and consider other opportunities that may use their skills and aptitudes. I can think of at least one graduate student who wanted a job in HR, but was offered the head of operations role instead. She accepted the opportunity. While you need to plan your careers, you also must be open and flexible for unexpected opportunities that come your way. In my own personal life, I have been an entrepreneur, manager, consultant and professor. I have found all these jobs rewarding. What’s my best advice for your career journey? Remain flexible, plan and be alert to the vision and path that ultimately leads to your satisfaction and happiness and helps you advance your goals in life. 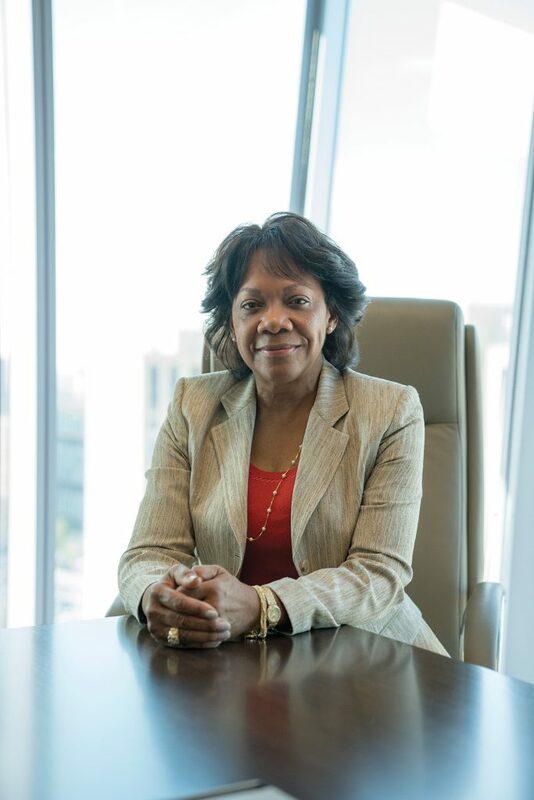 Carolyn Wiley is professor of management and human resource management in the Heller College of Business and formerly the associate provost for Academic Program Review at Roosevelt University. She was a European principal and senior consultant for a global consultancy and member of its performance and talent management global team and functioned as a chief human resource officer for an organization. She has held management faculty posts in the United States, France and Ireland. She is currently president-elect for the Midwest Academy of Management. 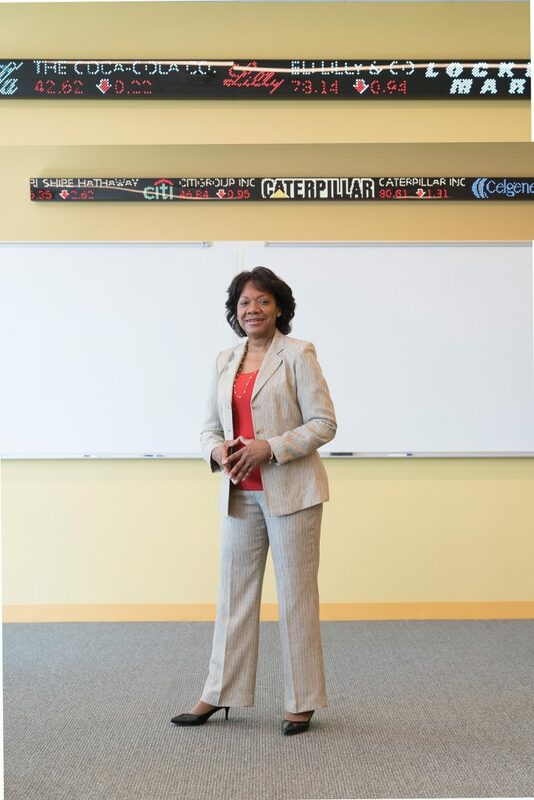 A recipient of both teaching and research recognitions and awards, she earned a PhD from the University of California, Los Angeles and has over 50 publications in journals and book chapters. Her speaking engagements have spanned the globe including Russia, Japan, Africa, Czech Republic, the United Kingdom, France, Spain and the United States. Her research areas include corporate governance, diversity, ethics, professional certification, impression management, DNA of the best companies and corporate responsibility. For further information, feel free to email cwiley@roosevelt.edu.